July 2018 will be one of the most romantic and emotional times of the year for Cancers. Family and relationships with loved ones will be the priority, but most efforts will be put into strengthening and improving relations with partners. Family-oriented Cancers will spend a lot of time with children, parents, brothers, and sisters, and perhaps even arrange romantic evenings for two, where they can enjoy the company of their beloved. The influence of the planets on this sign will favorably affect care and benevolence. Affairs of love and family will come to the forefront, and work matters won't have much of an affect on the Crabs' emotions. No need to think about promotions, prospects of professional growth or expansion of business during this time. This is nothing to worry about, though, as Cancers will be able to find an occupation that feels more like a hobby that they can truly succeed at. 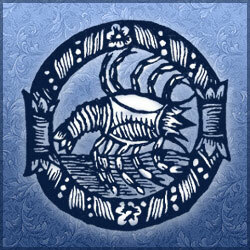 Cancers will reveal their creative potential and devote more time to developing their new talents. Self-sufficient and self-confident Cancers will easily and quickly overcome any obstacles at the beginning of July 2018, under these planetary influences. Despite the fact that family is at the heart of everything, Crabs have a special egocentrism. If people differ in opinion from Cancers, they will do their best to convince and sometimes even impose their own beliefs on others. Therefore, regardless the sign's gender, they will always strive to take the leading position. In regards to professional achievements, this is an excellent and irreplaceable quality, but if it concerns family relations, Cancers should cool down their ardor and selfish motives, and remember that their family genuinely loves and doesn't deserve to be treated this way. The desire to become a leader at the cost of belittling colleagues is far from the surest way to the top of the career ladder. During this time, it is recommended that Cancers pacify their leadership motives and respect other peoples' opinions, feelings and values. During the middle of July 2018, Crabs will be able to maximize their creative potential, discovering new talents and abilities. If Cancer signs direct their creative thoughts and ideas in the right direction, such as in their career or professional growth, they will be successful. Newly discovered abilities may also bring about new hobbies that can grow into ideas for the foundation of a new business. If you want to achieve financial independence, work on your own project. Get the support of influential people, as well as those who like your chosen path. If you're looking for career growth and a higher position, look for more promising companies where professional growth is an integral part of employee development, rather than staying in the same position. The end of July 2018 brings a complete retirement from work and separation from everyday routines. If you did not plan a holiday this month, then perhaps you can organize a picnic in nature, preferably by a river or lake. Spend time with those who are sincere, reliable, and loyal, and accept you as you are. A few old friends and some family members are the ideal company for outdoor recreation. Cut yourself off from electronics for a bit, and connect with the peace and tranquility of nature.